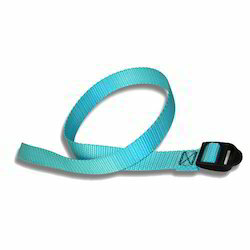 Prominent & Leading Manufacturer from Mumbai, we offer polyester strap, nylon strap and tie down strap. 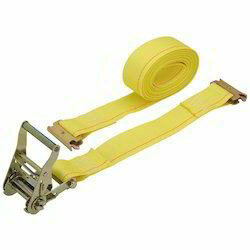 We are engaged in Manufacturing Polyester Straps which are also known as fiber straps or non-metallic straps. These are capable of providing maximum strength and durability at affordable prices. These can reduce the potential for load shifting, eliminate or reduce the incidents of transit caused damages. The straps are difficult to break under working load and cause friction and abrasion over rough surfaces. 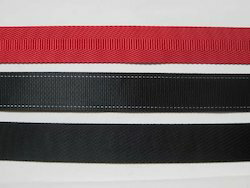 These polyester straps have to pass through severe tests so as to meet the diverse industry applications. Our range is made up of best quality material and possesses an indefinite working life. We offer Nylon Straps which are tamper proof and are also known as nylon Bands. The Tie Down Straps facilitate tightening of objects and Strap alignment in racing cars, antique or classic autos and four-wheeled vehicles. Looking for Durable Straps ?